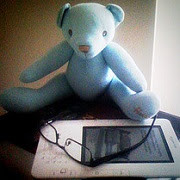 Photo Credit: Kindle 3 thoughts @ Kodomut.com, by Zhao! Looking for free Kindle ebooks for your international Kindle? I have included Amazon links below for Kindle owners living in Australia, Austria, Brazil, Canada (French and English), China, France, Germany, India, Italy, Japan, Mexico, Spain, United Kingdom, as well as the United States. Plus links to more sites offering free books in the public domain, and in many other languages - let me know of any good sites I may have missed! NOTE: Every day, I post a hand-picked list of free Kindle books for US readers, free Kindle books for Canadians and free Kindle books for UK readers of about 20-30 free books. Some of these book titles might be free in your country too! 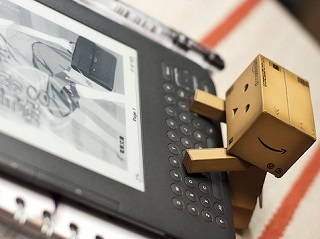 Most public domain books will be available for your Kindle. Some books may not be free of copyright in other countries. Readers outside of the United States should check the copyright laws of their countries before downloading or redistributing ebooks. Information on the copyright laws of many countries. • ManyBooks.net - There are more than 33,000 eBooks available for Kindle, Nook, iPad and most other eReaders, and they're all free. • Gutenberg.org - offers over 57,000 free ebooks: choose among free epub books, free Kindle books, download them or read them online. • Free Google Books – Google's mission is to organize the world's information, and make it universally accessible and useful. Search the latest index of the world's books. Find millions of great books you can preview or read for free. • Librivox.org – Volunteers record chapters of books in the public domain and release the audio files back onto the net. Their goal is to make all public domain books available as free audio books. • Archive.org - Contains a wide range of fiction, popular books, children's books, historical texts and academic books. Free to read, download, print, and enjoy. Currently 15 million books! • Bookyards.com - Their goal is to be The Library To The World, a web portal in which books, education materials, information, and content will be free to anyone who has an internet connection. Bookyards currently has a total of 22,000 books. Sorry, I do not speak any other language than English, so I used Google Translate to write the short phrases below. So if anything makes no sense - I blame Google!